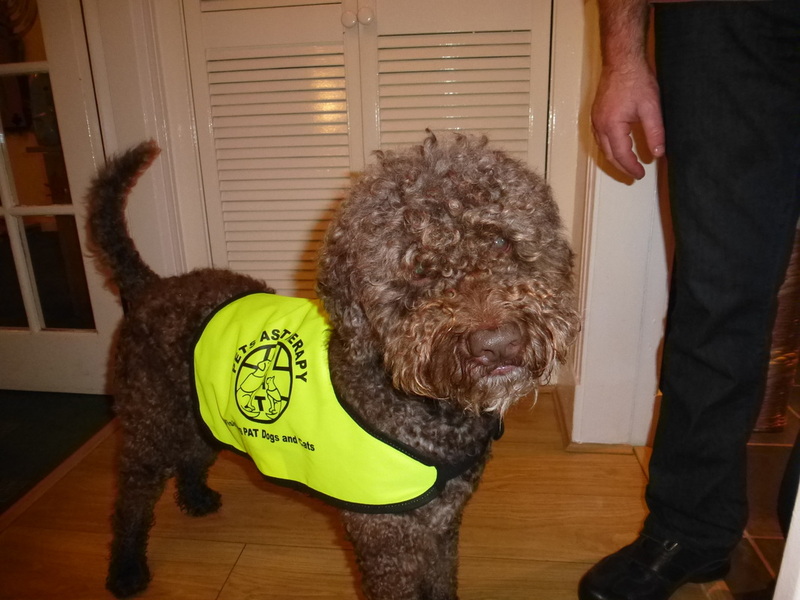 There are several Lagotto Romagnolos regularly visiting care homes for adults and the elderly and representing the PAT Charity at events such as local dog shows, village shows and Kennel Club events. Their friendly nature and size encourages people to interact with them. The care home residents look forward to visits and the dogs instinctively response those that are frail. Our WebMaster, Lynne Harvey, has recently qualified with Archie as a volunteer team ... here is more information about them.